The International Association of Art Critics (AICA) is pleased to announce that its 50th Congress will take place in Paris, France, November 13-17 2017. 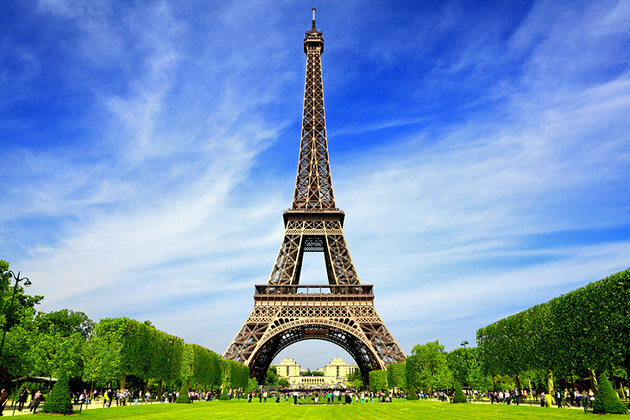 For this 50th Congress, the association returns to Paris, the city where it was officially established as an NGO affiliated with UNESCO in 1950. Congress’s main venues will include the Institut national d'histoire de l'art (INHA), the Palais de la Porte Dorée – Musée national de l’histoire de l’immigration, and the Centre Georges Pompidou. The opening ceremony will take place at the Institut national d'histoire de l'art on the evening of November 13. The closing ceremony will be hosted by the Centre Georges Pompidou on November 17. The keynote speaker for the opening ceremony will be the distinguished critic Gayatri Chakravorty Spivak. The program will also include screening of a short video related to art criticism by the acclaimed artist William Kentridge. On Tuesday November 14, a symposium on the theme “Shifting Paradigms: History and Future of AICA” will take place at the Institut national d'histoire de l'art (INHA) with the participation of leading art critics and art historians from around the world. Speakers include Jean-Clarence Lambert and Jacques Leenhardt (France), Fumio Nanjo (Japan) and Yacouba Konaté (Ivory Coast). On Wednesday November 15, AICA France will convene a discussion on the practice of art criticism: with a keynote lecture by Georges Didi-Huberman and an international round-table “Interpreting contemporary art,” also at INHA. On Thursday November 16, a symposium on the theme “Everywhere and nowhere: migration and contemporary art” will take place at the Musée national de l’histoire de l’immigration, with speakers selected through an international call for papers. Other events will include gallery and museum visits, and a tour of art spaces outside of Paris. During the Congress, AICA will present its annual award for Distinguished Contribution to Art Criticism (for life-time achievement) to a French critic; the recipient will be announced this August, together with the final Congress programme. Organisers: AICA International and AICA France in partnership with UNESCO, France’s Ministère de la culture et de la communication, INHA, the Centre Georges Pompidou, and the Palais de la Porte Dorée – Musée national de l’histoire de l’immigration. Der 50. AICA Kongress findet in Paris vom 13. bis 17. November 2017 statt. Dieser wird unter der Schirmherrschaft der UNESCO, vermutlich im Centre Pompidou, eröffnet und im Institut National d’Histoire de l‘Art (INHA) sowie in der Cité de l’Immigration stattfinden. Die drei Themen der Pariser Veranstaltung sind die Geschichte der AICA, die Wechselwirkung von Kunst und Kunstkritik sowie der Einfluss der globalen Migration und des Postkolonialismus auf Kunst und Kunstkritik. Auch das Rahmenprogramm verspricht reichhaltig zu sein. Es sieht vor, ein paar der 30 Centres d‘art der TRAM (http://tram-idf.fr/) in der Umgebung von Paris zu besuchen – darunter die Institution, in der Rhaza Khazam Franck Leibovici ausstellen wird – und während des Postkongresses alternative Kunstorte. Die entsprechenden Informationen werden bald auf der Website von AICA International zu finden sein.